'Swish!' 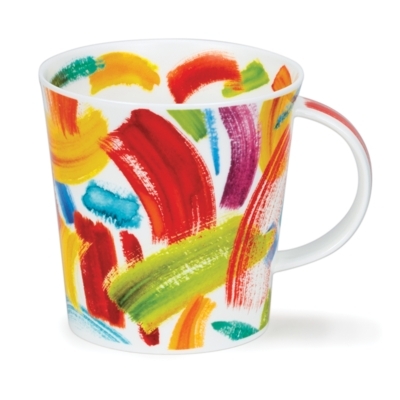 is a very popular Caroline Bessey design consisting of an array of colourful brush strokes in vibrant, warm colours. Born in Wigan, Lancashire, Caroline studied art, further specialising in ceramics at Lancashire Polytechnic, gaining a Distinction award in 1986. Caroline is inspired by current trends and styles and has worked for Dunoon since 1987 and, although she is devoted to designing fabulous coffee and tea mugs, Caroline does not drink either of them!